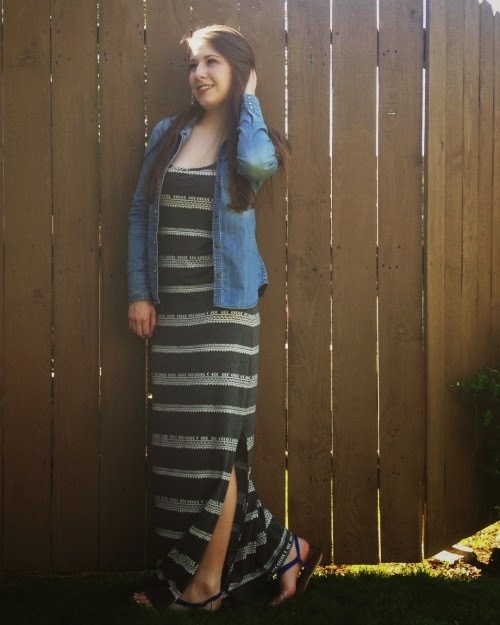 Barefoot In Blue Jeans: Happy 18th Birthday to Me! Happy 18th Birthday to Me! I can't believe I am already 18. I have been waiting forever to turn 18, it is the age you can actually do things. 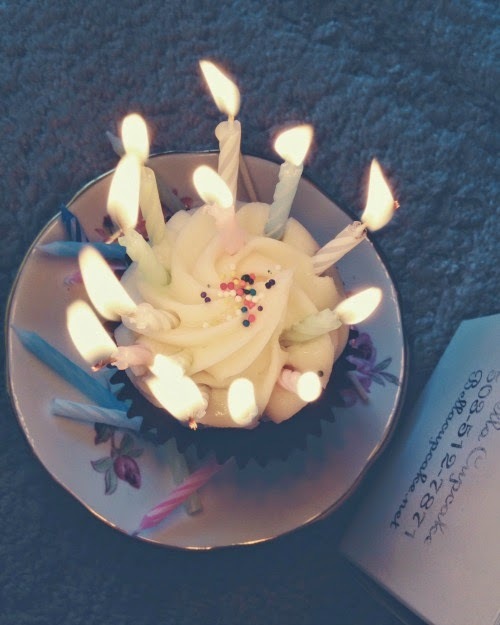 Wednesday, April 30th was my birthday. 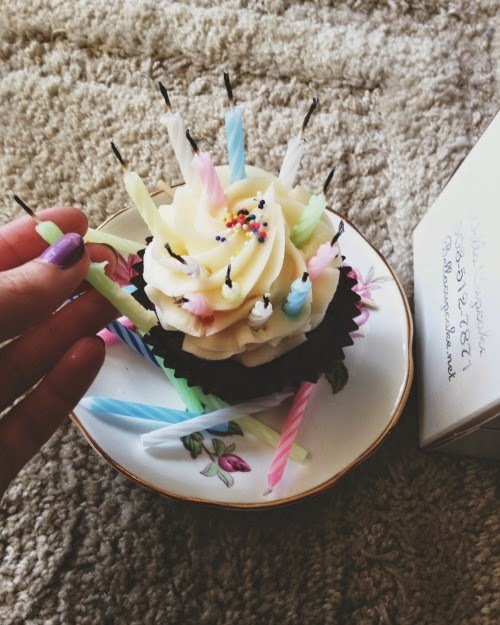 It was a perfect day, I could not have asked for a better birthday. The evening before, my parents decided to give me my gifts. They have been spoiling me all month with various things, and plus they are throwing me a celebration, I am so thankful for my parents. 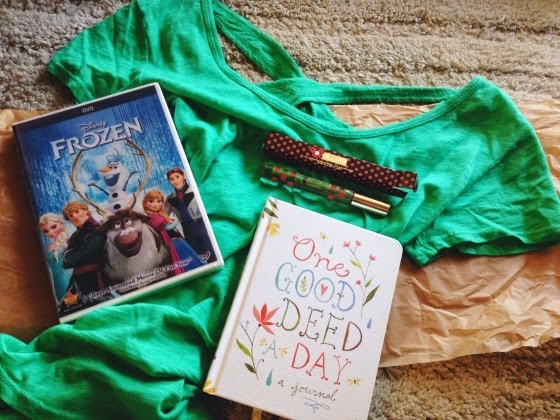 I knew all of my gifts, I knew about my Anthropologie shirt, my Marc Jacobs perfume, and my One Good Deed A Day journal. But, there was one gift that I did not know about. My mom handed me a fourth bag, and said that there was one gift that I did not know about. I opened the bag, and pulled out Frozen! Disney's newest movie, Frozen! I screamed for five minutes. I love the movie Frozen. I was so excited. 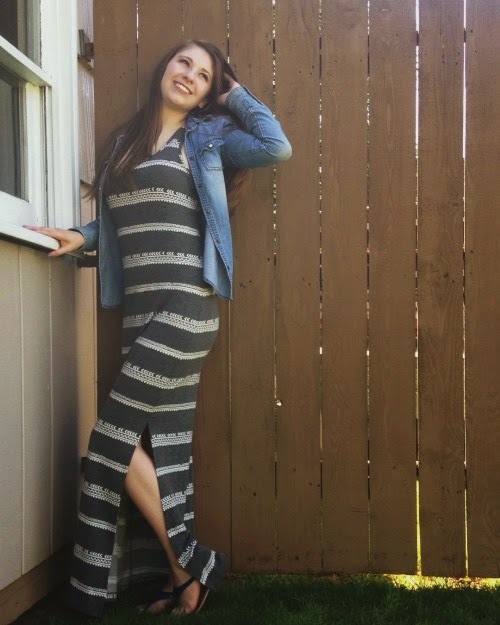 The next morning, my birthday, I got ready for school, and put on a new maxi dress I bought on Sunday. My hair was perfect, my makeup was perfect, and it was such a beautiful, sunny day. The forecast said it would reach 86 degrees on Wednesday, and that it did. I walked into school feeling confident, beautiful, and older. 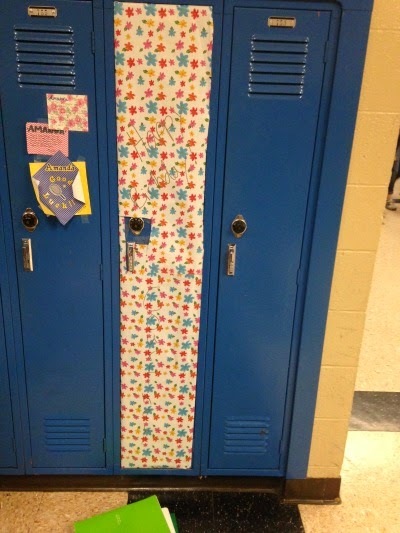 I went to my locker to discover it covered and wrapped in beautiful, colorful wrapping paper. "HAPPY BIRTHDAY COURTNEY!" was written on the wrapping paper. Oh what a sweet friend my friend, Abby is. I opened my locker, smiling so big. 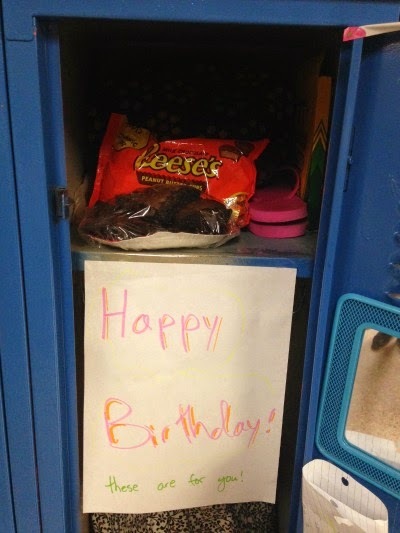 Inside my locker on the top shelf was a big bag of Reeses Peanut Butter Cups, and a plate of brownies. There was a sign below them that said, "These are for you, Happy Birthday!" I couldn't stop smiling. I thanked Abby and hugged her for the wonderful gift, it was a wonderful start to my beautiful day. I went to my classes, my classmates and friends wished me "Happy Birthday", my two wonderful friends, Melissa and Kaylee wished me "Happy Birthday", and Melissa gave me some butterhorns that her grandma made. They were delicious. The morning at my home high school was splendid. After French class, I usually leave for my long lunch, then after that to CAL. 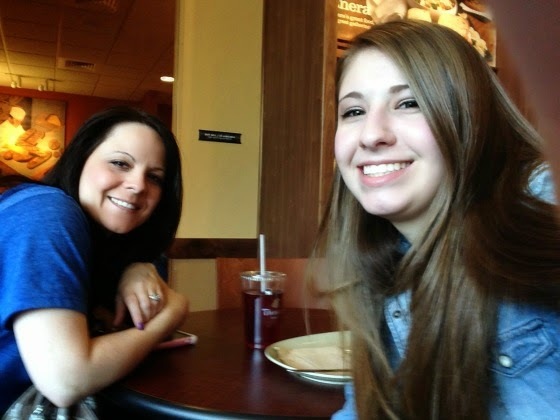 I met my mom at Panera Bread, and we ate a birthday lunch. 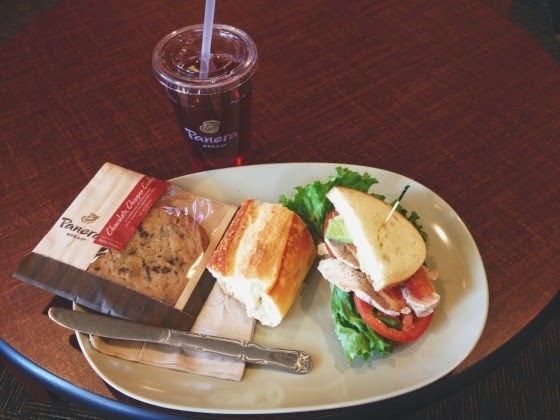 I ordered a turkey BLT, with an iced tea, and a side of bread with a cookie. After lunch, I went to CAL. 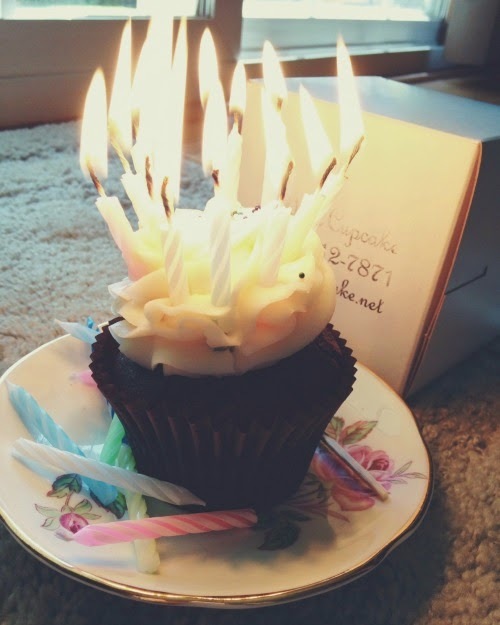 My classmates wished me a wonderful birthday, and I could not stop smiling all day. Even through the Anatomy & Physiology lecture, I was smiling, and happy. In my writing class, my teacher tried to get everyone to sing to me, but I prohibited it. I am not really fond of my class singing me "Happy Birthday", but I did cherish it when they wished me a "Happy Birthday" by saying it without tune. Throughout the day, I received texts from loving family members, telling me "Happy Birthday", and all the sweet people on Facebook who wished me a "Happy Birthday". My dad picked me up from CAL, and took me to go get a cupcake from Gresham's local Bella Cupcake. 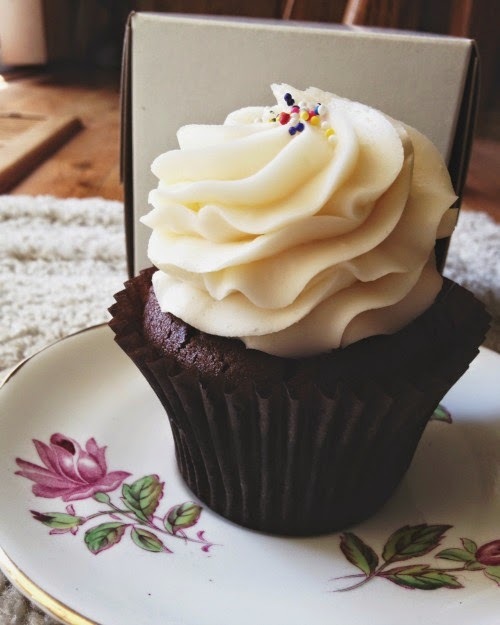 I got a chocolate cupcake with vanilla frosting, these cupcakes are huge, and they have so much frosting. I love the look of the cupcakes. 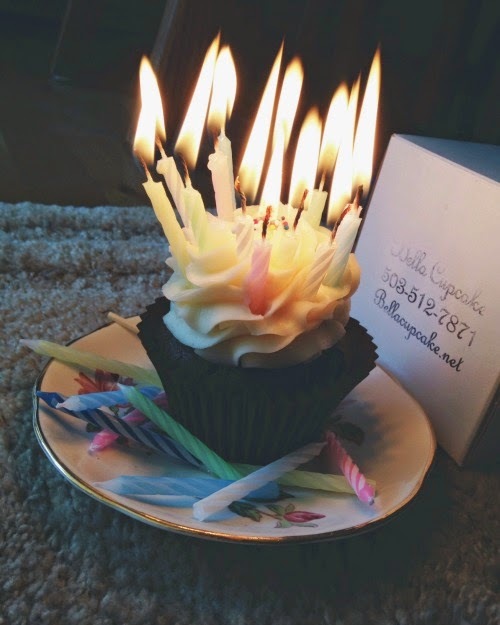 When I arrived home, I stuck candles in my cupcake (not 18 candles, they would not all fit, plus I didn't want to set my house on fire), and I made a birthday wish. For the rest of day, I watched various TV shows, and talked with best friends. I didn't do any homework, I just lazed around and had the house to myself. It was lovely. 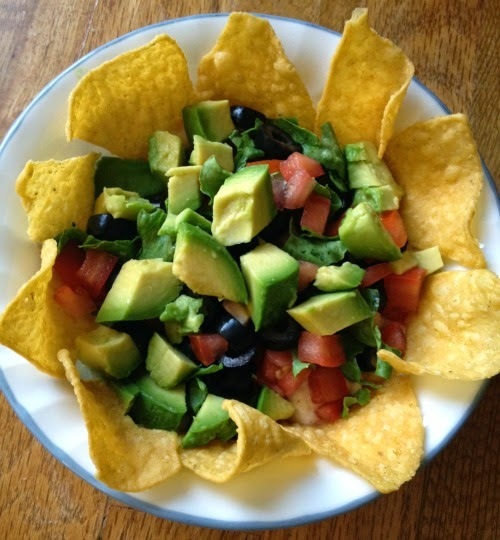 I did make myself a delicious appetizer prior to my birthday dinner. 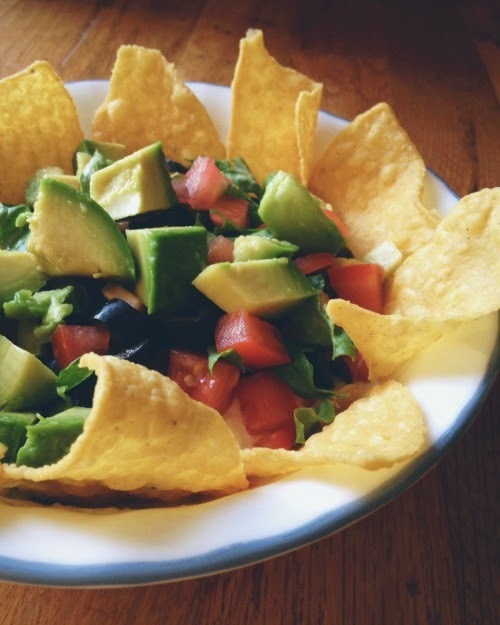 I made a delicious Greek Yogurt taco dip. I used the Greek yogurt instead of sour cream, you can't even tell the difference between the two. I will forever use plain Greek yogurt instead of sour cream. It is the healthier choice. Oh my, it was delicious. Later in the evening, my folks arrived home. My mom and dad started on my tacos, I wanted tacos for my birthday dinner. I went on Pinterest and watched, "I Love Lucy". 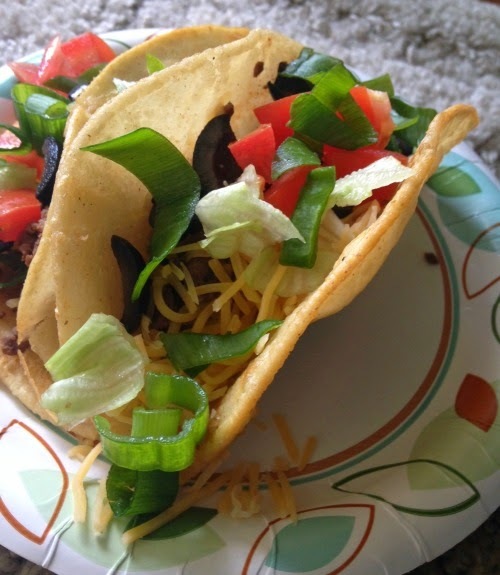 Dinner was made pretty fast, tacos are an easy thing to make. My whole family wanted to watch Frozen with me, so while we ate my birthday dinner, we all watched Frozen, even my dad. Wednesday was a perfect day. 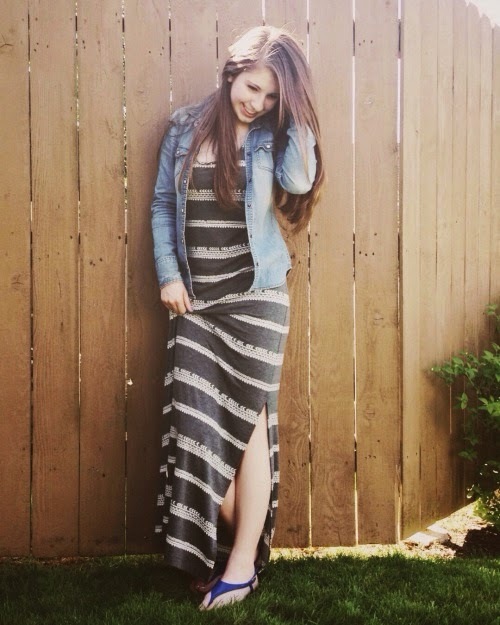 There was no stress, no worry, just happiness, sunshine, and laughs. I am thankful to have such amazing people in my life to help me celebrate this very important event, and to wish me a "Happy Birthday".